Prints are available in myOnline Store! 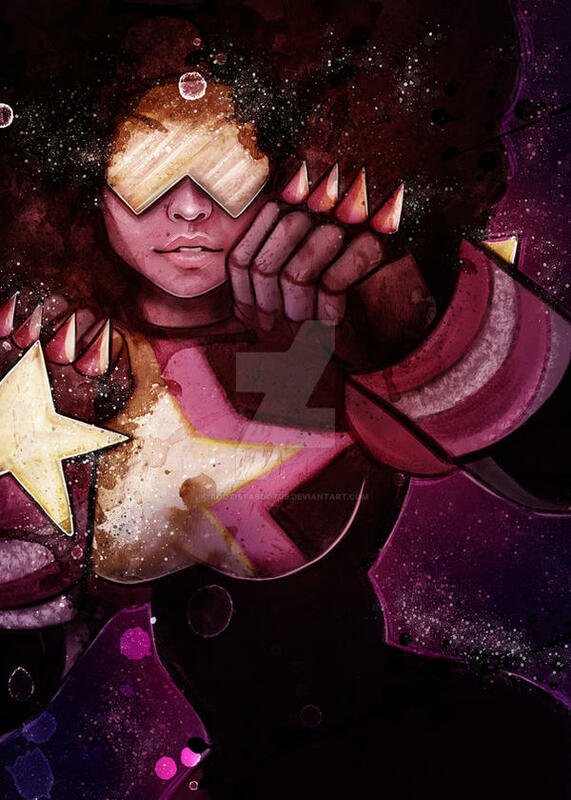 So over Spring Break I got really into the series Steven Universe; and by far Garnet has become my favorite Character!! Look forward to the other Crystal Gems soon! OKAY NOW THIS IS OFFICIALLY BEYOND BEAUTIFUL ! Your art posted in my blog. Font cited. I have been going picture to picture just favoriting and commenting. These drawings are so outstanding to a point where I am unable to describe it! Bout to knock some b*tches the F*ck out! This is so beautiful!!! Is it possible to get a version of it that isn't watermarked so I can make it my phone background? Sorry I do not post my artwork online without a watermark, I do apologize for the inconvenience. Absolute perfection, wow. Well done! Unique picture of the amazing leader of the gems,nowadays is difficult to find a good picture of her. She is absolutely gorgeous! 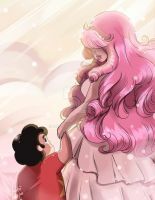 You really captured her aspect of power, strength from Sapphire, cockiness from Ruby! have you ever considered drawing amethyst? she's already my favorite crystal gem! u made her look even more AWESOME!!!!!!!! how is that possible???????!!!!!!!!!!!!!!!!!!!! !